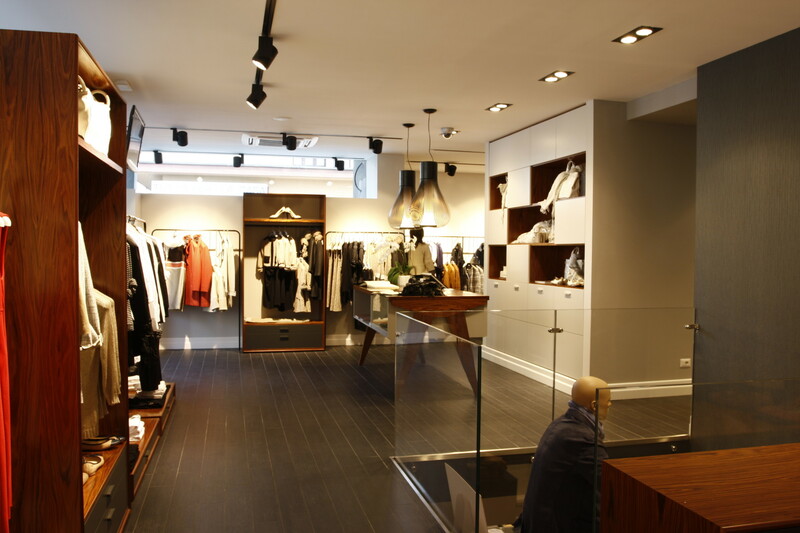 For this refined and elegant store it was chosen to play with the contrast between black and white and dark wood tones. The ceiling and walls are in fact white and the floor and the wall of the staircase are black. The furniture are made of walnut wood glossy painted with iron racks painted black. Much of the clothes on display are located on structures made of tubular metal in the shape of an inverted U, some of which rest directly on the ground while others have a footboard with drawers below to expose additional accessories. These racks are spaced out by wood cabinets, with a large open compartment, which have the function of focus for the products. 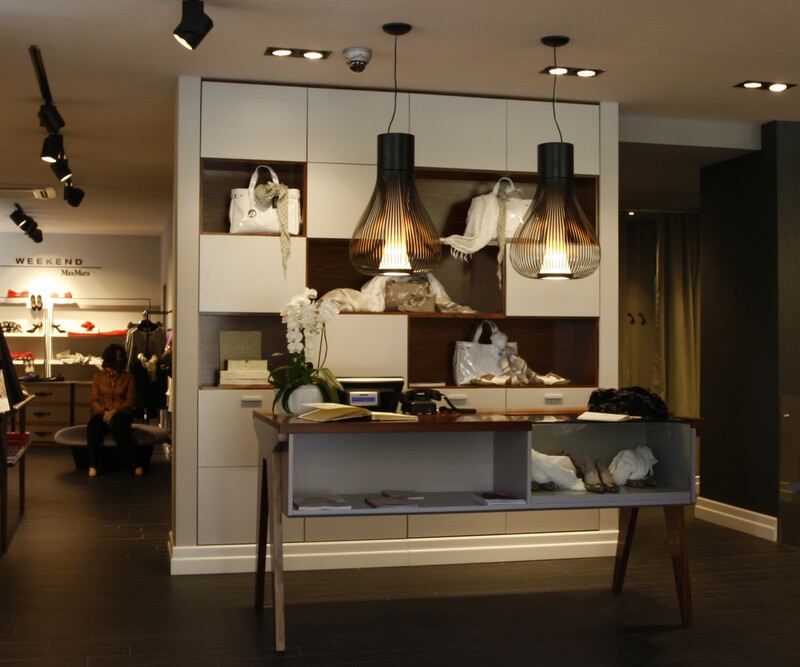 The counter area is emphasized by a large white lacquered wardrobe with wood niches for the display of accessories and bags. The cash desk is a vintage-inspired table custom-made, also with niches for the display of products and lowered space to place the counter. 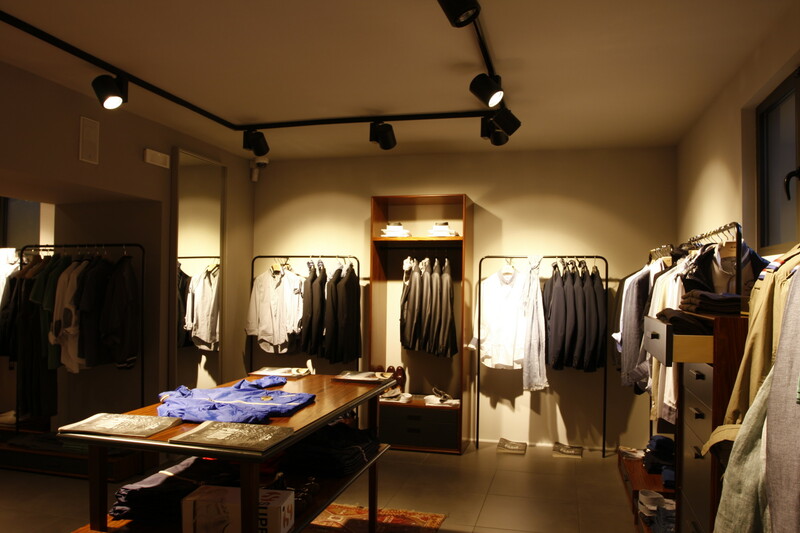 As for the lighting, a rail system with spotlights and recessed lighting in the ceiling were chosen, all in black, as well as beautiful hanging Chasen lamps of Flos, lighting up the cash desk. The basement has been completely renovated to add the men’s department, and has been furnished with custom-made tables and exhibition facilities and vintage seats of the company Objet Trouve. It is accessed through a fine staircase with railings made of extra-clear glass and covered with Carrara marble.